POLITICAL pressure calling on the Scottish Government to act on its commitment for the ‘fair funding’ of local authorities is growing after both the Greens and the Conservatives expressed sympathy for the Shetland and Orkney councils. Both islands authorities have been lobbying the SNP minority government to commit full public funding towards their internal ferry services ever since the commitment was made in 2014. However, only last week council leaders were told by islands minister Humza Yousaf that the running of the inter-island ferries remained the responsibility of the two councils. The Shetland and Orkney councils have submitted a request for £11.2 million of additional funding to prevent services being cut to 1960s levels. Inter-island ferry services in the Western Isles and in Argyll, operated by state owned company Calmac, receive full public funding. In parliament on Thursday, cabinet secretary for rural economy and connectivity Fergus Ewing had no answer when quizzed on the issue by Highland and Islands Conservative MSP Jamie Halcro Johnston. In fact, the minister referred to the government’s decision to reduce fares on the islands’ external ferry service, an issue that is not connected to the internal ferry funding crisis. Halco Johnston said: “It looks increasingly like Mr Ewing’s commitment to fair ferry funding has been sunk. 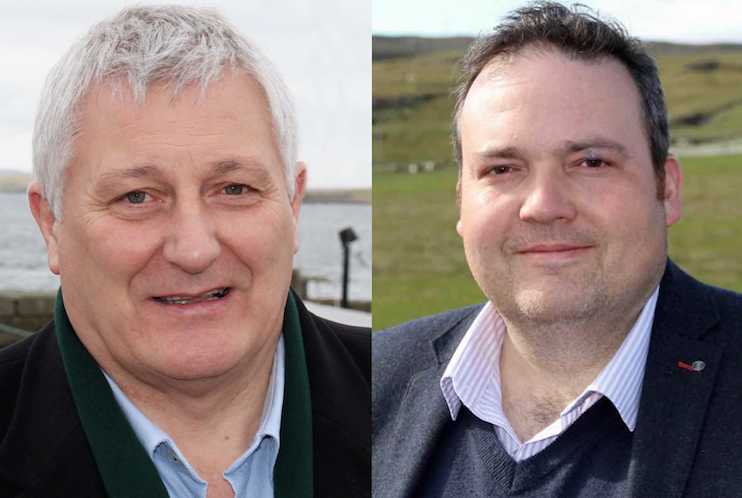 Meanwhile, the Green’s transport spokesman John Finnie confirmed that both council leaders have been in touch to urge the party to consider island ferry funding in their budget discussions. Last year, the Scottish Greens helped to release an extra £160 million in funding for local authorities when they supported the SNP in getting the budget through parliament. Both island leaders, Cecil Smith for the SIC and James Stockan for the OIC, are due to meet Scottish finance secretary Derek Mackay on 16 November.